TechBirmingham thrives through its immensely talented and diverse group of member companies. Meet our Member Companies is an ongoing Q&A series highlighting this group of movers, shakers and makers in B’ham’s tech industry. 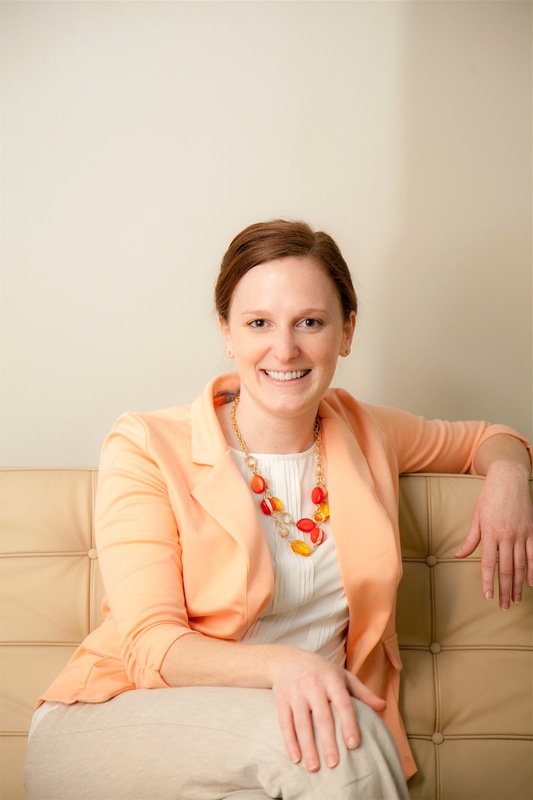 Meet Jessica Vance, Account Director for Alloy. 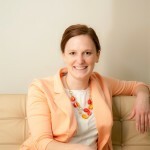 Jessica has lived in Birmingham for over 20 years. Read on to learn more about Alloy and the great things they are doing in Birmingham and beyond. Hi Jessica! Let’s get started — Tell us more about Alloy and your typical day. The company rebranded as Alloy less than 2 years ago, but Intermark Interactive, where the company was born, has been around since 1996. The typical morning starts with a full to-do list of tasks to tackle. I spend 75% of my day in meetings so that the development team can focus on our project work. There are a mix of scrums, project status meetings and client calls mixed with a fair share of accounting meetings, Google hangouts and brainstorm sessions. Our office is very casual, so in good weather, we on our side patio or head out for lunch nearby. Our environment is highly collaborative, so although we live and die by Slack, we also resort to yelling over cubes or bounce ideas around in the aisle. My clients range from automotive to supply chain to manufacturer / retailer which keeps my mind active. What do you think is the biggest misconception about your industry? The biggest misconception is that you have to be a lifelong technology guru to excel. Some of our employees went to college with different careers in mind or are even working in technology now as a second career. You don’t have to have an extensive technology background to excel, but instead, an intense passion for continued learning. What exciting news or product/service announcements does your company have on the horizon? We are working on a number of interesting endeavors including a large technical consulting project and multiple industry disruptive commercial projects, but nothing we can share by name. How do you feel about B’ham’s tech scene? Being in a technical company with a non-technical role, I would definitely like to see more females in the field along with applicants from out of state (or country). Birmingham has a lot to offer career-wise and socially that I am happy to see TechBirmingham getting the word out about everything that’s going on. Thanks so much for sharing, Jessica! 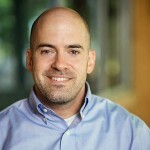 Meet Jason Lovoy, President of Infomedia. Jason is originally Birmingham and loves it here! Read on to learn more about the 22 year history of Infomedia and the great things they are doing in Birmingham and beyond. Hi Jason! Let’s get started — Tell us more about Infomedia. We specialize in web design, web development, Internet marketing and website support, and we’ve been in Birmingham for 20 years — since 1994, we’ve developed over a thousand websites. We work with strong companies and big brands, building complex websites that have robust functionality. The fact the our commitment doesn’t end at the site launch, and that we continue to provide support for our clients throughout the life of their companies, is part of what sets us apart. One of the biggest misconceptions about our company is that building a website with good functionality takes time and effort. With the popularity of template websites, throwing a web page online is simple, but what a lot of people don’t realize is that those cookie-cutter templates don’t work for complex systems; they don’t suit a lot of e-commerce needs, and they’re rarely built to help drive leads and sales for a company. There’s also the issue of security, of maintaining backups and installing updates, which we take very seriously at Infomedia. Once our clients see these benefits in action, they understand why we put so much into a website, but at the outset, it can be tough for people to understand why a new website isn’t as simple as they’d thought. We’ve just re-signed one of our long-running clients, United Airlines, and we’re doing a lot of work with city government sites, notably Douglas County, Colorado — working with them to solve problems and develop an incredibly complex and user-friendly site has been a wonderful challenge. We also get a lot of our ideas through our monthly Lunch & Learns at Innovation Depot, where we invite our clients and the Birmingham community to get together and train in various tech topics. These are free, and they’re always on the third Tuesday of the month; the schedule is available on our website. I love that there’s such a focus on local development here in Birmingham. We’re seeing more and more companies go to a local shop for their tech needs before looking elsewhere, and that’s really positive. We’re a tight-knit community, and we tend to work with and help each other, which is just amazing. Birmingham’s tech industry is growing just as the rest of the city is developing, and there is just so much potential because of that; we have more jobs in tech than there are people to fill them right now, and there’s a real drive to develop talent, both on the creative and the development side. Anything else about you or your company you want us to share? The thing we’re proudest of at Infomedia, and what really sets us apart, is our work environment. It’s a cliche to call a business a family, but we really do try to foster that feeling here, and our teams are close-knit and very committed to working with each other as a result. We try to say “yes” to our employee needs, ranging from further training to schedule flexibility, to help our teams find a good work-life balance, and we’ve seen that freedom and autonomy translate into great creativity and a higher calibre of work for our clients. Thanks so much for sharing, Jason! TEALS (Technology Education and Literacy in Schools), a program that supports the expansion of computer science education for high school students is coming to Birmingham. We caught up with Tracey Wilson who is helping spearhead the effort to get TEALS into Birmingham. Here’s a look at what they are doing and how it’ll impact students in Birmingham. Hi Tracey! Tell us a little more about TEALS. TEALS pairs computer science professionals from across the industry with classroom educators to team-teach CS in high schools throughout the U.S. 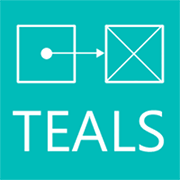 Started in 2009 by Microsoft employee Kevin Wang, who developed and ran the program in his spare time, TEALS was embraced by Microsoft in 2011 and has been supported by the company ever since as part of its global YouthSpark initiative, which aims to increase access to CS education for all youth around the world. TEALS helps high schools teach computer science by providing trained volunteers – industry professionals in CS – to partner with a classroom teacher and work as a team to deliver CS education to students who would otherwise not have the opportunity to learn CS in their school. Over two years, the classroom teacher gradually takes over the responsibilities of teaching the course without volunteer support. The team-teaching and volunteer system of TEALS creates a strong ripple effect: it empowers teachers who can multiply the impact by providing computer science education to hundreds more students over the years. Why is this initiative important? Science and technology are critical drivers of today’s global innovation economy. More and more companies–across all industry sectors–are seeking people with computer science (CS) and computer engineering skills. In the U.S., there will be 1.4 million CS-related jobs by 2020, yet U.S. college graduates are expected to fill less than a third of those jobs. For American youth, this means an unfortunate mismatch between education and opportunity that we must solve by bringing together professionals from across the CS industry. By increasing access to CS for all youth as early as possible, we will help them prepare for the jobs of today and tomorrow and give them the opportunity to become creators of technology and the world’s future innovators. How was Birmingham identified as a TEALS city? A group of industry professional saw the need for Computer Science education in the Birmingham area high schools and invited us to Birmingham to explore the possibilities. This group included Courtney Ready and Jared Weinstein who brought the Venture for America program to Birmingham last year. How can someone get involved? Nine out of ten parents want their child to study computer science but only 25% of high schools in America offer computer science courses to their students. That’s where you come in. TEALS builds sustainable CS high school programs by pairing trained computer science professionals – from across the tech industry – with classroom teachers to team-teach CS. Every student deserves a chance to learn these essential skills. By joining the effort to educate teachers and students alike, you will create a ripple effect giving current and future students the opportunity to be innovators and creators of technology. 1. Attend an info-session in person or view a pre-recorded session online. 2. Learn more about the different volunteer roles in the Volunteer Guide. 3. Read the Frequently Asked Questions. 4. Have additional questions? Contact us.